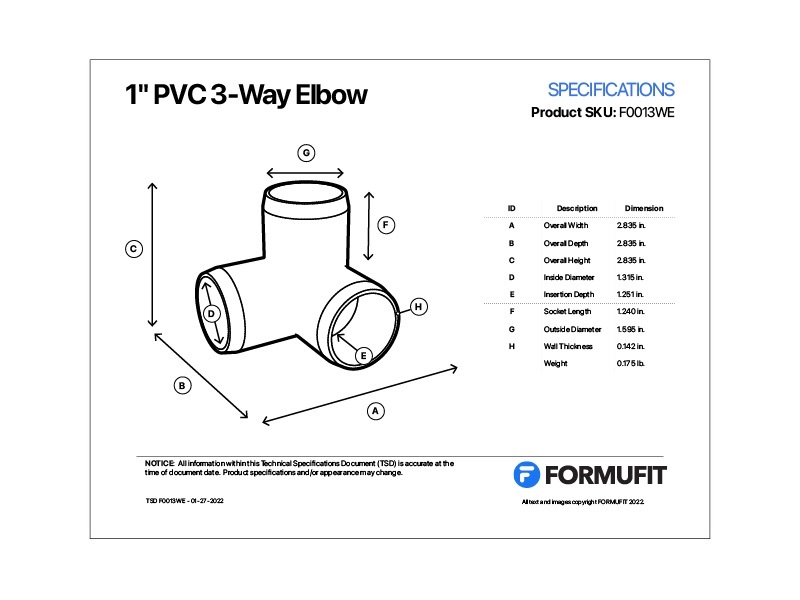 FORMUFIT 1 inch 3-Way PVC Fittings connect three pipe segments to create corners in projects, structures and PVC plans. These 1 in. 3-Way corner fittings accept three (3) segments of 1 in. Size PVC pipe. Build functional, simple cube shapes. Create art projects. Build tables and stands for projects. 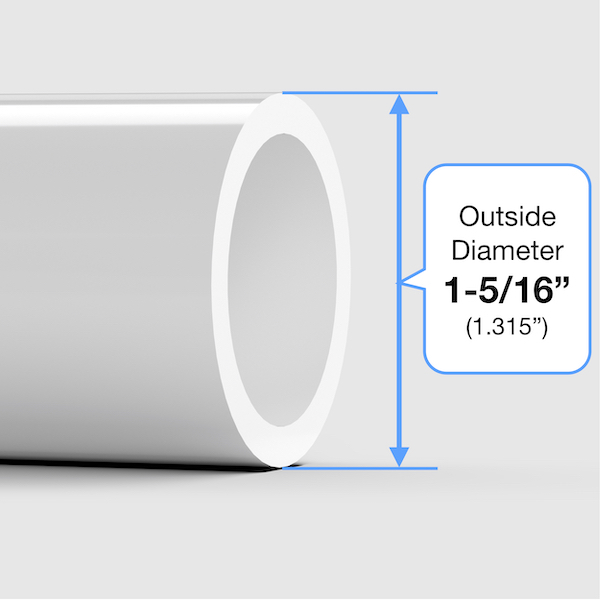 Fitting fits externally over 1" Size PVC pipe, which has an outside diameter of 1-5/16". 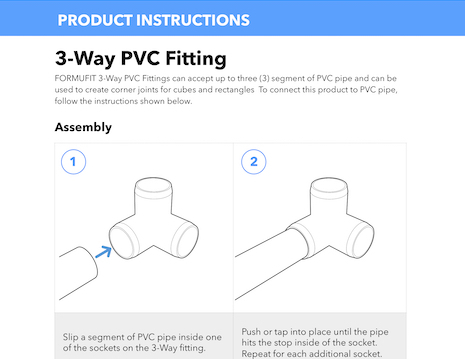 Combine three segments of PVC pipe to create a sturdy corner joint, using a single fitting. Contains non-toxic impact modifiers for projects that need durability and frequent abuse. Glossy, clean unmarked fitting surfaces. Extra deep joint sockets allow further pipe insertion for a secure hold. Tapered ends allow a smooth transition from the pipe to the fitting.